Super Mario Run is exactly what you’d hope and expect it to be. Why anyone thought Nintendo couldn’t make the most iconic figure in video games work on mobile is a mystery – more often than not, Miyamoto and his team just get it. However, this doesn’t mean that Super Mario Run is the greatest entry in the franchise to date. Nor does it mean you should expect the level of sheen that a home console version offers. To do so is approaching this in completely the wrong fashion because ultimately this is a mobile app. It’s meant to be enjoyed that way, too. At its most basic all you’re ever really going to be doing is tapping the screen to make Mario jump as he automatically runs through numerous worlds. You can tell from a mile away that it was developed by Nintendo. It has that recognizable aesthetic, and all the usual additions are here; it’s just that they’ve been stripped back to make it accessible for a more casual audience. Instantly that will sound offensive to some – gaming’s poster boy being shilled out to the masses. That’s an argument you’re welcome to have, but it doesn’t stop Super Mario Run from being extremely fun. Although you’re only ever in control of jumping, the way the world around you reacts and evolves means it can be far more tricky than it sounds. 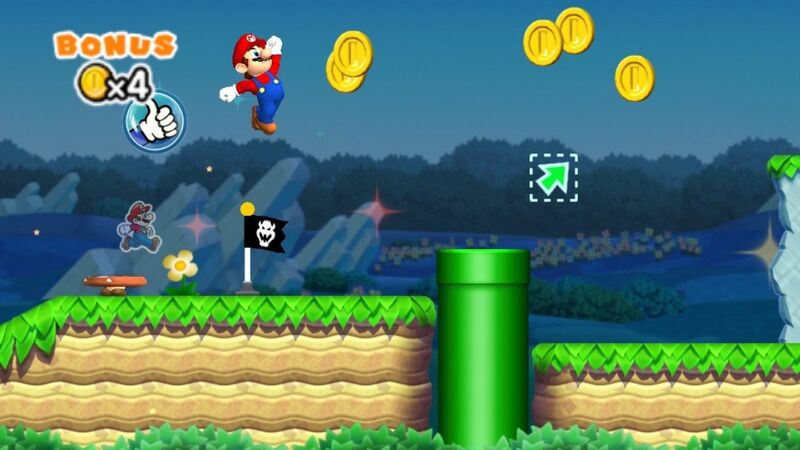 Mario will hop over small objects, including enemies, automatically, but timing your leaps right is imperative to both do away with foes, fly over giant chasms and execute special moves, the latter of which gets you more coins. This is of the utmost importance, because coins fuel everything you do in Super Mario Run. While they’ve always been a staple of the franchise, now they not only determine how well you performed, but also act as the reason to replay levels and try to nab every coin you see. This includes special red coins which are even more devilishly placed, and black coins (which unlock after you’ve grabbed all the red ones and are even harder to obtain). The point is that that’s three reasons to play through each level, which in turn triples your playtime. You’ll want to do that, too, to get your money’s worth, as you’ll probably have the basics done in about an hour. Super Mario Run is so addictive, however, there’s a good chance you’d have wanted to replay it anyway. It progressively gets harder as you go on, and learning how to time your jumps to get the most out of an attempt is a skill within itself. You could call this an endless runner, and many have, but it’s much more in the vein of a platformer when all is said and done. The precision and care often needed isn’t so far away from Mario games of old. There’s more to sink your teeth into as well, should the foundations start to wear thin. While it still follows the same basic structure, Toad Rally adds a competitive spin to proceedings. Using ‘Rally Tickets’ you’ve earned in the main game, you’re pitted against an opponent of your choice (and you can do this with friends by adding them into the game). The aim? To outshine your rival as you both race through a level. This is achieved by timing your jumps right, not getting thumped by goombas, and looking out for the fabled ‘Coin Rush’, a power-up that allows you to increase the rate at which you’re gaining coinage. With each successful step, more toads will cheer you on, and whoever has proved themselves the most worthy by the end wins. Everything you’ve earned then gets shifted over to the creation hub. Seeming to mimic in-app purchases (without asking for any real money), the kingdom-building element of Super Mario Run literally exists so you can unlock more objects, houses, shops and other bits and pieces for a central play area using your toads and coins. 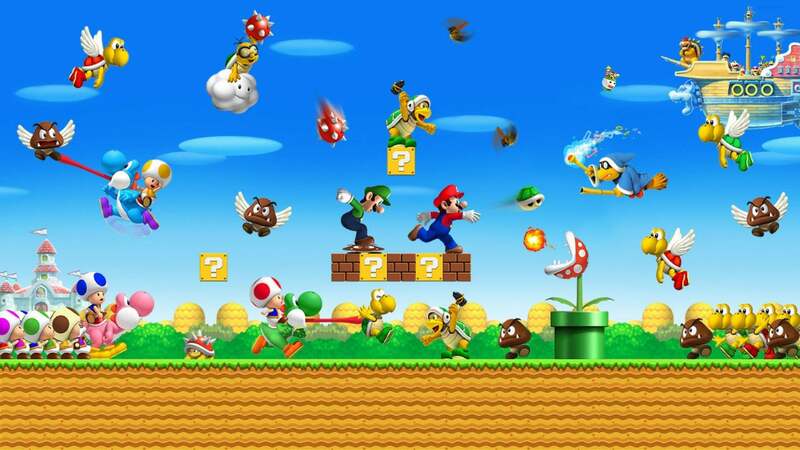 This then lets you play special levels, decorate the world as you see fit, or opens up the option to use other characters such as Luigi, Princess Peach and Toad. Rather than just a visual change, they alter the pace of the game as – like always – Luigi jumps higher than Mario, so you have to switch up your playing style. That straight away gives you another reason to go around again, and it’s clear Nintendo isn’t looking for this to be a throwaway experience. The question, then, is if it’s worth £8 – which is no doubt a premium price for an iPhone title. The novelty of having Mario on Apple’s device is probably worth it alone, but it’s only fair to say you’re paying a little extra given whose name is attached to it. The mechanics aren’t too out of the realms of what we’ve seen before, but that doesn’t mean it’s not good. Because it is. And having Mario in it just makes it better still. It’s no surprise that Nintendo didn’t skimp on Super Mario Run. It’s a Nintendo product and therefore a certain amount of quality is expected. There’s a novelty here, sure, and this isn’t a game-changer like the franchise has produced so many times in the past. It’s good, though. And sometimes that’s enough. Super Mario Run is a great iPhone game that sticks to the expected formula but makes that formula extremely fun. And there’s nothing wrong with that. 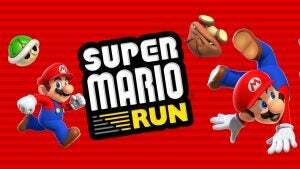 The post Super Mario Run Review appeared first on Trusted Reviews.